Happy Monday! Tomorrow, Tuesday, April 9th is the big day all runDisney fans have been waiting for, as registration officially opens for the 2014 Walt Disney World Marathon Weekend. I spent some time on the phone this morning with Faron Kelley, Director, Marketing Disney Sports Attractions. There have been some really exciting additions to the race weekend, really making it the the Happiest Race on Earth. 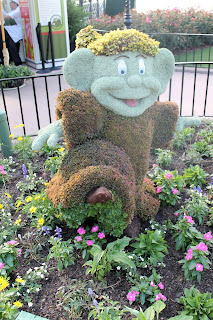 As I attended the Epcot Flower and Garden Show yesterday so I thought I would show off a few Disney Topiary's associated with the WDW Marathon Weekend! 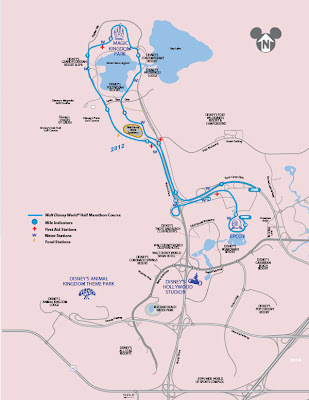 The Addition of a 10K to the Walt Disney World Marathon Weekend. 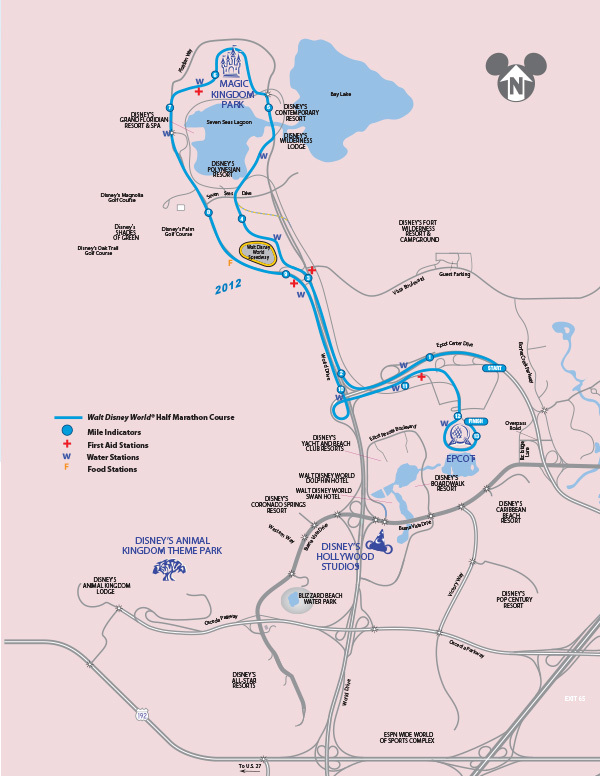 The inaugural Walt Disney World 10K will take place on Friday, January 10th. 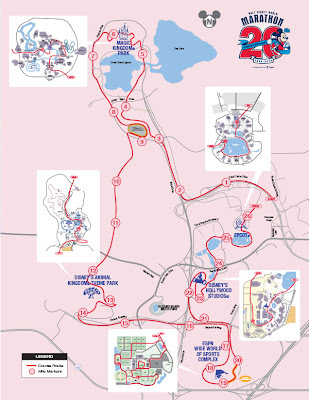 This 10K will go through Epcot, course details have not been finalized at this time. Minnie Mouse will finally join Mickey (Marathon), Donald (Half Marathon) and Goofy (Goofy Challenge) by getting her medal! Minnie will be the face of the Walt Disney World 10K Medal. If you follow my blog, you already know that I signed up the Dopey Challenge a week early through the Annual Passholder program. My family and friends think I am nuts, to which I kindly respond with a sweet smile, "I am not nuts, I am Dopey". 48.6 miles over 4 days, 4 courses, 6 medals, 6 tech shirts. On our way home from Disney last night, we passed mile marker 27 on Interstate 4 (we live at mile marker 1). Gabe said, we are about to drive a full marathon, this is your final leg of the 4 days. That puts the whole race into an evil prospective. Attention Ladies! runDisney has answered many of our prayers by offering ladies tech shirts for the 10K, Half Marathon, Full Marathon, Goofy Challenge and Dopey Challenge! Prior to this, runDisney only offered ladies tech shirts for the Tinkerbell and Princess Half. Meaning I don't own a single runDisney ladies tech shirt so I was very happy to hear this news. Faron did mention that he believes the shirts will be long sleeved shirts since that is historically what has been distributed during Marathon Weekend. How do you feel about the long sleeve vs. the short sleeve option? This FL girl would personally prefer a few short sleeve shirts to be thrown in as I have only worn my Walt Disney World Half Marathon long sleeve tech shirt twice and would love to proudly rock out my collection of 6 shirts on months other than January and February. 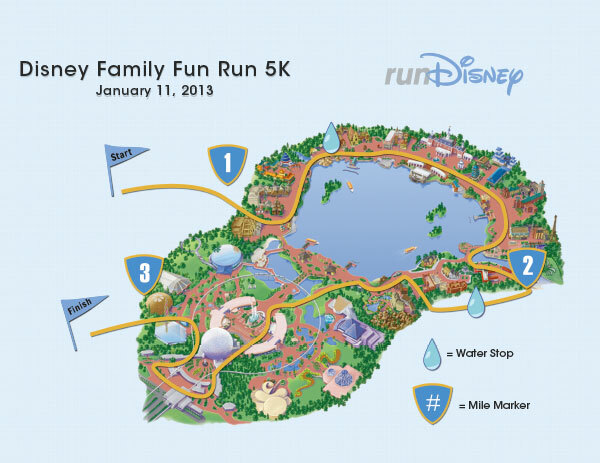 2014 Walt Disney World Marathon Weekend Courses Revealed! The 5K, Half Marathon and Full Marathon races will be the same courses as last year. 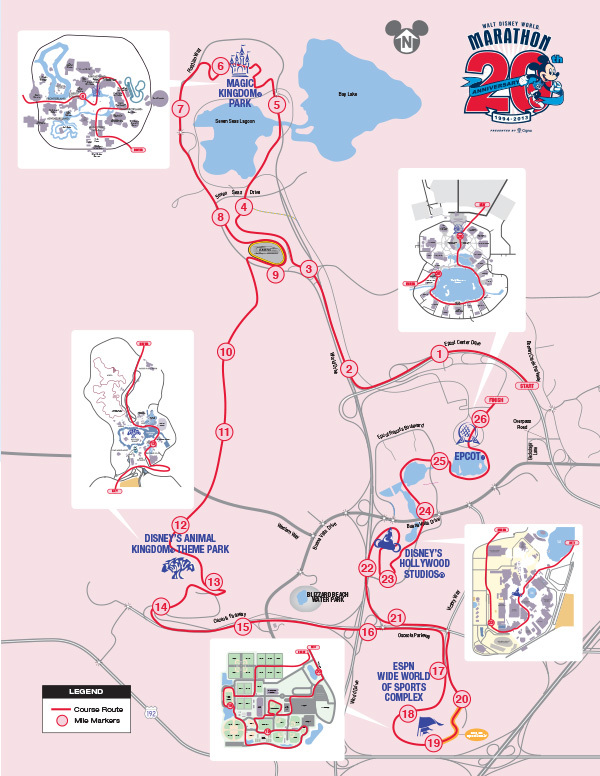 The logistics of the 10K have yet to be finalized and I will announce that course as soon as it is released, although we do know it will take place in Epcot. In 2014 we will have new medals for all of the races, including new Goofy medals and the addition of the Dopey medal. As I live in a two runner household, this really excites me and I wont have to worry about multiple duplication of medals on my medal holder. Medals have yet to be revealed but runDisney knows they have to keep up with the trend of exciting medals for all the bling addicts out there. Before I get into this, I have to urge all of the runners out there - if you are interested in any of the 2014 runDisney races this year, please sign up early. It's cheaper, encourages a stronger (and smarter) training schedule plus this guarantees you will make it in before the race sells out. Trust me, there is nothing worse than knowing all of your fellow runDisney friends are heading off to California for Dumbo while you will be sitting at home living vicariously. runDisney races always sell out, some quicker than others. With the addition to the already popular Dopey Challenge, Marathon weekend will most likely sell out in record time. With concerns from runners at past runDisney events, especially with overcrowding, runDisney has reduced the attendance by 2,000 runners, distributed between the Half Marathon and Full Marathon. Proof of Time is being required by November for the 10K, Half and Full. I noticed during my Dopey registration that runDisney is asking more details in Proof of Time, including the city of the event. This will ensure that all runners are put in the appropriate Corral. You will not be able to switch into an earlier Corral past the November date and they will not have Corral adjustment at the Expo. The Expo moves have caused overly crowded Corrals on raceday. I was in Corral C for the Walt Disney World Half and it was the busiest corral of all, so I completely understand and applaud this decision. I cannot stress enough how important correct corral placement is. It helps place the runners in with other runners, the run-walkers in with fellow run-walkers and the walker-walkers in with the other walkers. Just because you are in Corral H doesn't make you less of an athlete You are out there achieving a goal and that is all that matters. I've been on both sides of incorrect corral placement - t's not a great feeling when you are getting passed by hundreds of people due to being placed in a corral too advanced for you. It really messes with you mentally and causes unnecessary self doubt, which is a runners worst enemy. Meanwhile, if you are in the correct corral placement and there are multiple others who are walking, it makes it more difficult to pass and weaving is not fun. Wow - so many different races to choose from; it's great to see that Disney has options for all levels of runners (including kids - neat!). The kids races are the cutest thing you have ever seen! It breaks my heart (in a good way). I can't wait to run the Dopey Challenge! It is going to be such an awesome weekend. I was really happy to see the new women's cut shirts when I registered. I am also thrilled that they are reducing the number of participants. I think it is great that they want to allow so many people to participate but crowded race courses aren't fun for anyone. I am so happy you helped coerce me into signing up! I think the reduced registration will help prove to people that Disney isn't all about $$. Sure the prices are higher than others but as you know, nowhere else can you have a race experience like this. I think the Dopey may be a little much for my taste, but I am very happy to see they offer a 10k this year. I personally love that distance!! I know you have no interest in Dopey but you should sign up for the 10K! Inaugural Minnie Mouse Medal! I am so excited you encouraged me to sign up for my first 10K and first runDisney race!! I really can't wait to learn more and more about runDIsney...Im excited!! :) :) :) Makes me so happy! My little "I will never run further than a 5K" girl. Way to go Megan! I am glad that you were able to get in on the info! I love all the images and maps in the post! All Disney miles are good miles Megan! Don't let a family road trip scare you. We are going to have such an amazing downright Dopey experience! I am so insanely excited and the added details have my adrenaline pumping! I was really not going to do WDWMarathon weekend in '14, but how could I pass! I registered on AP day!!! Hi Erin! Thanks!! I am very excited for Dopey. I am not running Wine & Dine because I will be at RnR Savannah so if I don't see you before then, I will see you when we are officially Dopey! I'm so glad they're keeping the marathon course the same as last year. I LOVED running through the WDW Speedway and ESPN WWOS! I can't believe we're going Dopey!!!?? Very glad to hear runDisney listened to the over crowding feedback and reduced the marathon numbers. Thanks for keeping us all updated hun!! Love this post! Thanks for the great info especially the part about corrals - SOOOO True! Glad runDisney is getting stricter with this! It will make the runs in the future much better!